It’s relatively easy to develop a drone that can fly on its own, but it’s another matter developing one that can navigate the many obstacles of real life. That’s where Microsoft thinks it can help. It just published an open source simulator, the Aerial Informatics and Robotics Platform, that helps designers test and train autonomous machines in realistic conditions without wrecking expensive prototypes. 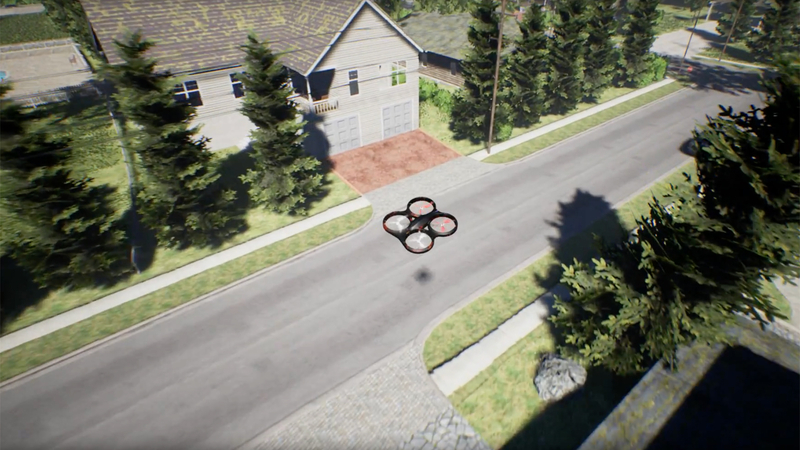 The tool has vehicles move through randomized environments filled with the minutiae you see on a typical street, such as power lines and trees — if your drone can’t dodge a tree branch, you’ll find out quickly. You can see what the vehicle would see (including simulated sensor data), and the software ties into both existing robotic hardware platforms and machine learning systems to speed up development. As team lead Ashish Kapoor explains to The Verge, this isn’t meant to replace real-world testing. It’s more of a complement that can either account for hard-to-reproduce circumstances or perform extremely repetitive tests. Instead of having to launch a drone with just a few months of flying under its belt, you could have data equivalent to years of flight time. Moreover, the simulator isn’t necessarily confined to testing hardware. Microsoft sees its tech helping with all kinds of computer vision and machine learning code. Really, this is more of an AI playground than a narrowly-focused tool. Whatever the initial goals may be, there are many more possibilities.